The Clean Growth Strategy is providing renewed focus for Carbon Capture and Storage (CCS) development in the UK. With the country’s natural resources providing ample storage capacity, CCS is a cost- effective opportunity that has a significant role to play in meeting the UK’s decarbonisation targets by 2050. In 2012 the ETI identified the CO2 storage potential for the UK in a project that developed an online atlas – CO2Stored – now hosted by The Crown Estate and the British Geological Survey (BGS). Now, in collaboration with a number of project partners – Fugro GB Marine, Sonardyne International Ltd, the National Oceanography Centre (NOC), BGS, Plymouth Marine Laboratory and the University of Southampton – the ETI has developed a marine monitoring system using marine robotics to provide assurance that the CO2 is safely and securely stored. The ETI’s director, for programme delivery, Mark Illingworth, explains how research from the project will support industry to make not only practical, but economical investment decisions for CCS monitoring, identifying the most effective tools to ensure CO2 is safely stored, legislative requirements are met and public confidence in CCS is gained and maintained. Although there are existing technology components which can detect CO2 in a marine environment, historically there has been no integrated, cost-effective and commercially available systems that could reliably detect and report anomalies in the level of CO2 in the sea above a store. The European Union’s directive on CO2 storage states that any storage operator must monitor for potential leaks and examine whether any leak is damaging to the environment or human health. Legislation such as this directed a need to introduce capabilities for the robust monitoring of underground CO2 storage sites. We therefore as part of our CCS technology programme commissioned and funded a project to develop a monitoring system which could be deployed using static monitoring equipment and marine robotics such as autonomous underwater vehicles (AUVs). 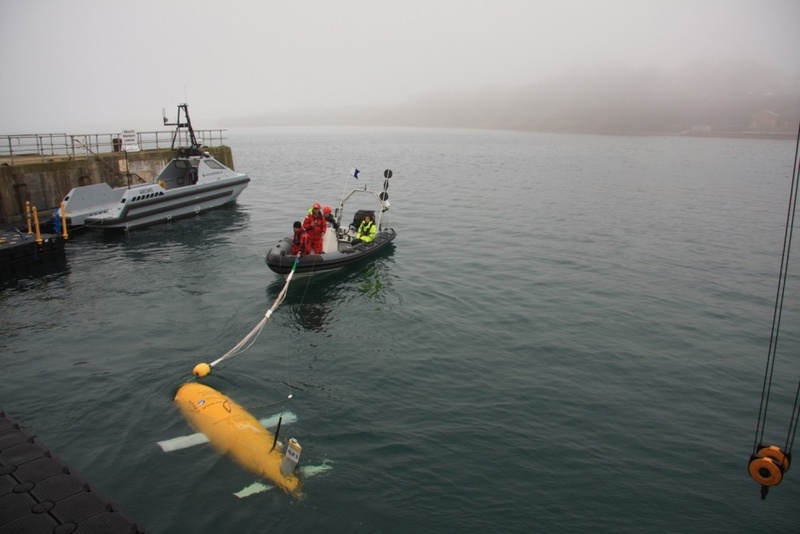 The project concept was to replace the need to use short-range AUVs or towed equipment launched from ships, which are expensive to run (c£50k per day) and involve launching and retrieving heavy objects at sea. If CO2 did escape, it would be difficult to predict exactly where it would reach the seabed. This is where mobile, long-range autonomous robots are very useful, patrolling over large areas at relatively low cost. To begin with we identified what a leak might look like, how it disperses and how it could be detected and recognised as ‘man-made’ or ‘abnormal’. This analysis informed extensive harbour testing at Portland and sea trials off the Yorkshire coast in the first part of last year, using fixed monitoring stations, called “landers” and autonomous underwater vehicles together with a controlled, simulated CO2 leak. The National Oceanography Centre (NOC) Auto-Sub Long Range (ALR – maybe better known as “Boaty McBoatface”) has an outstanding long range and deployment time, measured in thousands of kilometres and weeks at sea, in contrast to existing AUVs that can only be deployed for a few days at most. Because the device can collect data for several weeks at a time, a better-informed analysis of any unusual readings can be made. This innovative system can be controlled and monitored by shore bound staff and can follow a CO2 pipeline from shore to a store, patrol the store and return. We found that the combination of the ALR and fixed landers, located on the seabed, fitted with a suite of acoustic and chemical analysers which communicate via satellite back to the shore analysis facility, works particularly well. The combined robotic and static monitoring equipment provides a cheaper, safer and potentially more reliable system than if ships were used. 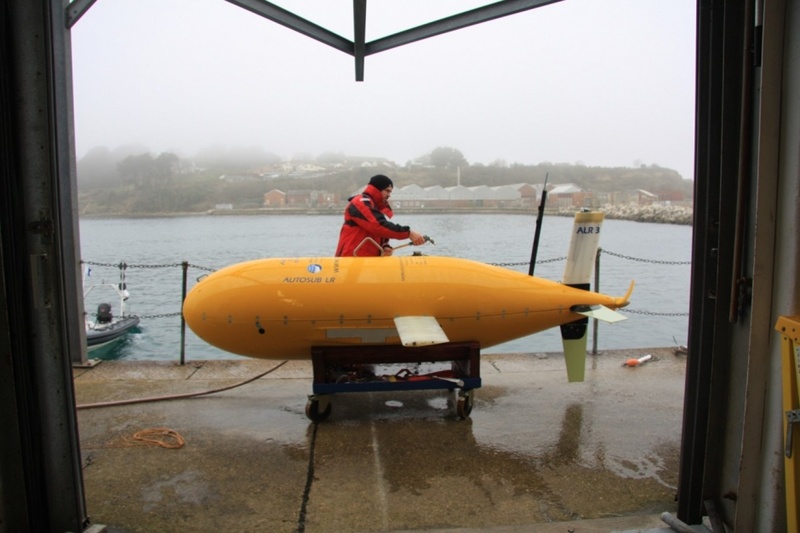 Through harbour and sea trials off the Yorkshire coast in 2017, we were able to determine that the AUV platforms can be useful at all stages of CO2 storage site development. It can be deployed to baseline the environment before the site is used commercially, for example by identifying existing seeps, or natural variations in the chemical composition of the seawater. This helps an operator to detect and diagnose any anomalies while filling the store. After a store is full, continued monitoring will assist the operator to demonstrate that the CO2 has been safely stored, and in the long-term hand the site over to a competent authority. Although leakage is highly unlikely the operator has a duty to ensure that stores are actually protecting the environment, and this technology when implemented will bring peace of mind to the operator, the regulator and the public. 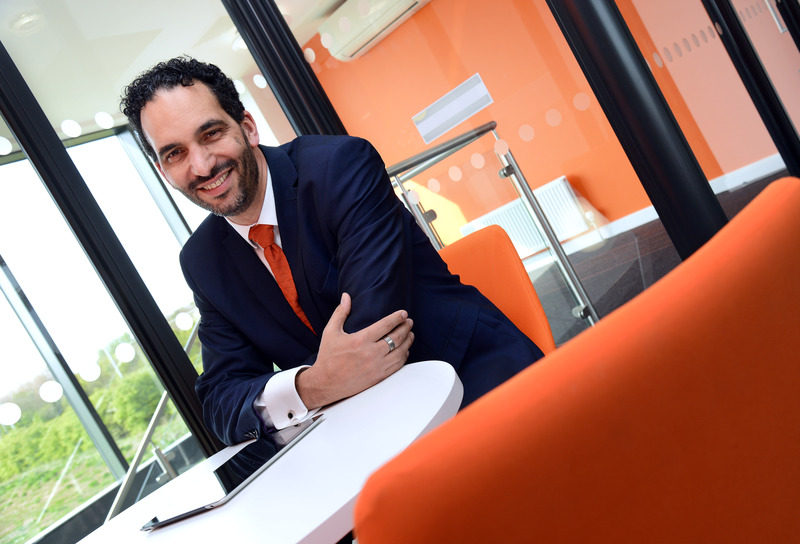 Our modelling work has shown that CCS has the potential to play a major role in any future low-carbon UK energy system, with technology innovation delivering both economic and environmental benefits to the country. By progressing the development of a monitoring system for the marine environment above CO2 storage complexes, we are making significant steps to help build confidence in the CCS industry in the UK. Beyond this, advancements in the marine robotics and autonomous systems industry is an exciting field of growth and UK expertise gives us a competitive advantage. Outside CO2 monitoring, the technology has applications in the oil and gas sector and potentially in environmental missions such as under ice exploration. Our commitment to developing technology in this area will help to keep the UK ahead in the global market, using innovation, such as the marine monitoring system to help protect our environment and adapt to a low-carbon future. With the right investment, this type of technology has the potential to significantly contribute to the growth of the UK economy by helping to develop a CCS industry. Fascinating development of marine sensors, but the application / raison d-etre is not so clear. CCS is certainly not a cost effective means of carbon reduction, no matter what their models say. The USA have wasted billions on an attempt to implement CCS and given up because of the technical / economic problems. The only viable options seem to be small scale Norwegian gas-related projects, which would hardly justify this development! It is to be hoped that the UK has now consigned CCS to the dustbin of history rather than seeing it as an opportunity for development. Agreed, this is a nice bit of technology. However CCS is just sweeping the problem under the mat for future generations to solve. What is the ‘S’ part intended for- what are we going to do with it; just hope it will go away? Some 72 million tons of CO2 annually in the US are injected in mature oil reservoirs for the purposes of enhanced oil recovery (EOR), a practice that has been around for several decades. The CO2 aids in retrieving oil that is otherwise stranded in reservoirs, which would be near the end of their economic life without such advanced techniques. Although the objective in this process initially was to maximise oil yields and not to sequester CO2, the two processes are fundamentally similar and share much of the same operational engineering. Observations from engineered and natural analogues as well as models suggest that the fraction retained in appropriately selected and managed geological reservoirs is very likely to exceed 99% over 100 years and is likely to exceed 99% over 1000 years. For well-selected, designed and managed geological storage sites, the vast majority of the CO2 will gradually be immobilised by various trapping mechanisms and, in that case, could be retained for up to millions of years. In cases such as this, I don’t believe in modeling, and I agree with Jack Broughton and Sandy: CCS IS sweeping the problem (expensively) under the carpet, for future generations – if they survive climate change – to deal with. Proposals for producing fuel “sustainably” from atmospheric CO2 and H2 from electrolyzed water seem to be a much better option. Always assuming you’re powering your electrolysis without emissions, of course. Producing fuel from CO2 and H2 has the advantage that it “commoditizes” CO2 and places a value on it. This would act as a strong incentive to develop better ways of collecting it.